When we think of 18th century piano concertos, we usually think of Mozart. 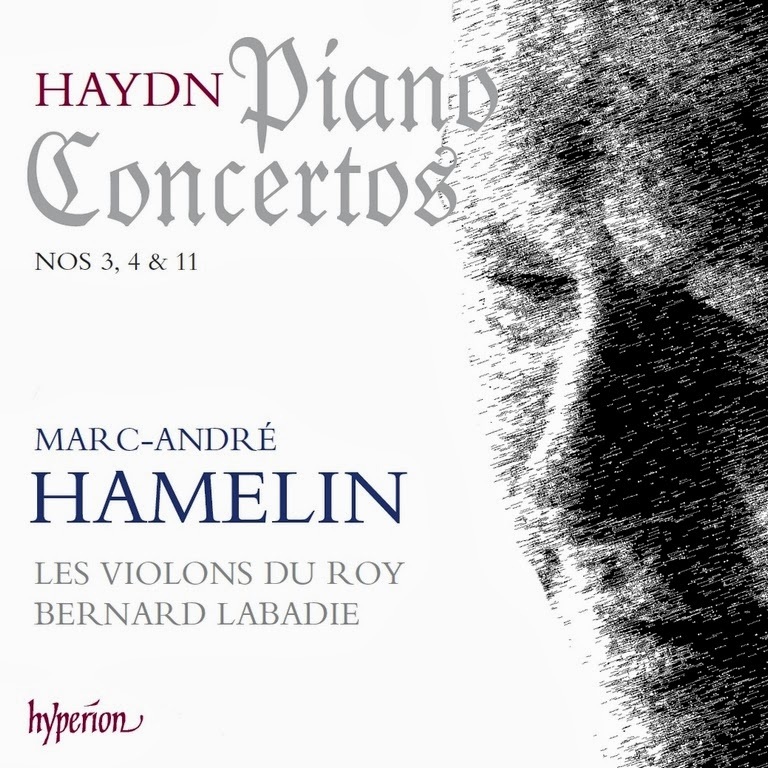 But it takes only a few seconds of listening to the opening track on Marc-André Hamelin’s lastest album to realise that Joseph Haydn also left a memorable and much-loved handful. Three of his concertos are even more compelling than usual, thanks to Hamelin’s beguiling playing. Released by Hyperion, Hamelin’s latest installment in a planned journey through all of Haydn’s keyboard music is a must-have disc — for the connoisseur as well as a person who might be curious about listening to some classical music. Haydn (1732-1809) was a master storyteller, building his pieces on the comfortable predictability of 18th century structures and symmetries — the essence of the Classical era — yet constantly adding little twists here and there for a touch of unpredictability and aural interest. Just when you think you know exactly how a passage is going to turn out, Haydn suddenly slips us from a major to a minor key or turns a musical theme upside down, or adds an unexpected pause. The slow movements of Haydn’s sonatas and concertos are an inevitable treat in sustained, quiet meditation, often with slow, poignant melodies atop the accompaniment. 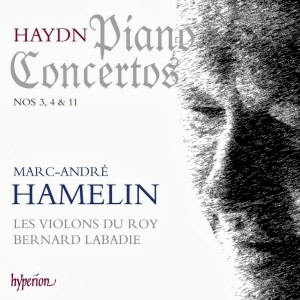 What makes this recording of three best-loved concertos — Nos 3 (D Major, Hob XVIII:11), 4 (F Major, Hob XVIII:3) and 11 (G Major, Hob XVIII:4) — is Hamelin’s supremely poised storytelling skills. Haydn wrote for a harpsichord, which, thanks to its much smaller sound, would be a part of the orchestra rather than a big, obvious solo instrument. Hamelin takes this under advisement, using the modern piano for all of its sparkle, colour and dynamic possibilities, yet never trying to dominate the music. Conductor Bernard Labadie, whose Violons du Roy use modern instruments in historically informed ways, are crisp, elegant, rhythmically lively and wonderfully equal partners in Hamelin’s escapades. The album was recorded last summer in the fine acoustics — and using the fantastic piano — at the Palais Montcalm in Quebec City. Unlike most interpreters of music, the obsessive-compulsive Hamelin always seems to be getting inside and behind the music. In this instance, he has gone so far as to help add fingerings for published Urtext (German for as authentic as possible) scores. What emerges from all this work is music that is at once technically and intellectually rigorous and filled with light and life. This album is one big smile from beginning to end. You can find more details as well as audio samples at the Hyperion site here.